Integrating ServiceM8 with your Office 365 account allows you to send emails to your customers with your real email address as the "From" address. This will start the Connect wizard. 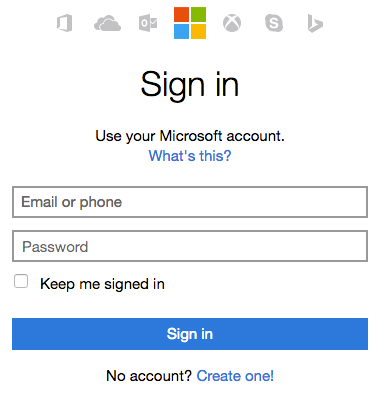 Follow the steps to connect your Office 365 account. The Office 365 Integration Add-on is now activated! 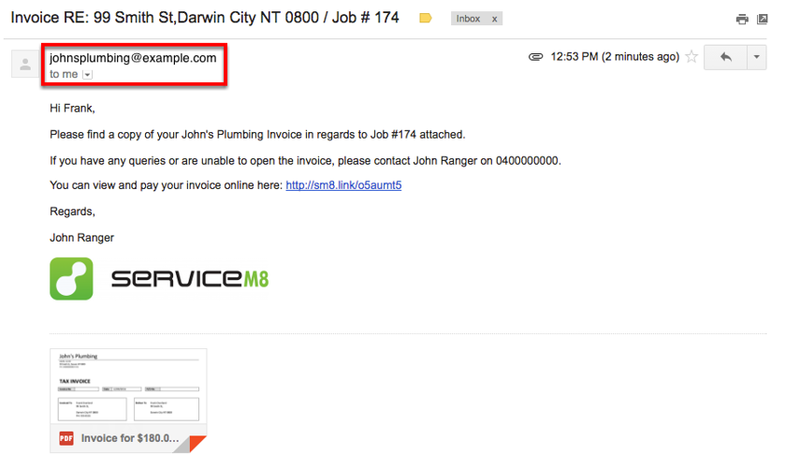 The email is delivered from your real email address. You'll also be able to see it in your Outlook/Office365 Sent Items folder. 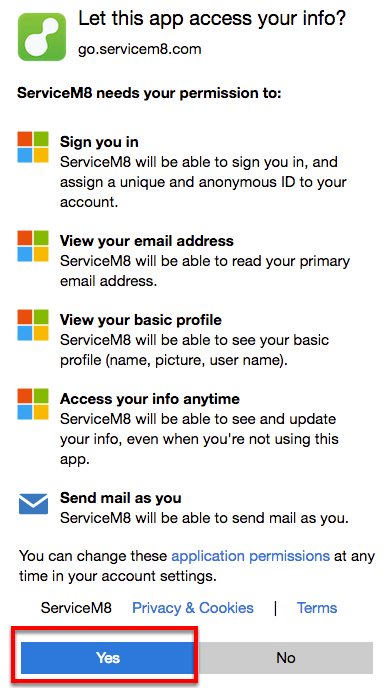 Please note that ALL email sent from any user in your ServiceM8 account will be delivered from the connected Office 365 account's email address. For this reason, we recommend that you connect your ServiceM8 account to a company-wide email address rather than a staff email address. How do I see my ServiceM8 schedule in Microsoft Outlook 2007?